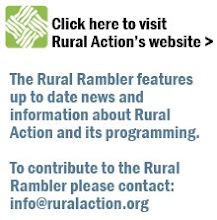 Volunteer Action is a weekly radio talk show coordinated by Rural Action that airs Tuesday Mornings at 10:06 am. The half-hour, commercial-free show highlights local organizations who have various volunteer opportunities within our region. Listen to the live broadcast online!